Malunggay abounds everywhere in the country. It is a tree with tiny green leaves packed with an incredible amount of nutrients. has the highest protein content (its leaves contains about 40% protein); has more beta-carotene compared to other plants; contains a high concentration of zeatin that prevents brain aging; contains beta-sitosterol which is anti-cancer and anti-diabetes, and has many other healthy contents. The scientific name is Moringa oleifera, or simply Moringa. It is an exceptionally nutritious vegetable tree with a variety of uses. 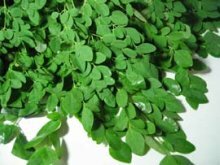 It is considered one of the world’s most useful trees, as almost every part of the Moringa tree can be used for food or has some other beneficial property. The Tagalog name is Malunggay, in Ilocano, another Filipino language, it is called Marungay, it is called Kamunggay in Visayan. Malungge in Pampango or Kapampangan. In the Bikol language, it is referred to as Kalunggay. Food that satisfies all our gastronomical cravings abound, but not all of them may be good for our health. We could opt to choose low calorie, fat burning and energy boosting malunggay juice for a beverage, the Department of Environment and Natural Resources-IX through its Ecosystems Research and Development Services encourages residents here. Only one tsp. malunggay powder, 7 cups water and ten pieces of kalamansi or lemon are needed to prepare a 7-glass juice serving. Juice preparation is as easy as counting one to five: 1. Place the powder in boiling water. 2. Add sugar or honey to taste. 3. Let it cool, strain the sediments that settle. 4. Squeeze lemon or kalamansi juice into the juice. 5. Serve with ice and presto! Over-eating can happen anytime and may result in gaining of unwanted bulges. This is the best reason to try preparing many of these recipes as it helps ward-off excess calories. DoST Zamboanga del Sur Provincial Director Ben Tulog proudly announced that the department is currently keeping its eye on Dipolog City, and a project in cassava chips made with dried malunggay leaves as an added ingredient. e added that studies for the development of the vegetable tree have already been a priority of the DoST because of earlier scientific studies that found the high nutritional value of the vegetable.